If you have a problem with your Taylor guitar, they will direct you to their nearest service centre so the guitar can be inspected. You should always register the guitar with Taylor first, especially if you are the original owner so that you can avail of their extended warranty, where applicable. John Moriarty Guitars are the official service centre for Taylor in Ireland. Taylor ES conversions can be done now at the workshop. If you have an older 3v system it can be upgraded to the newer 9v system. 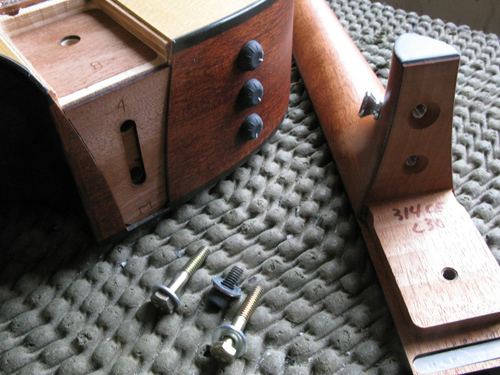 This requires a small about of routing to the guitars tailblock.